Because an eating disorder is both a medical and psychological condition, most people with eating disorders meet with a therapist or counselor as part of treatment. Although some people may feel embarrassed about going to therapy, it’s important to keep an open mind. 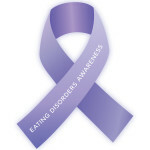 Many teens, including those with and without eating disorders, find therapy very helpful. There are a lot of benefits to seeing a therapist and the specific benefits can differ from person to person. Although there are many different types of therapy, therapy tends to be individualized, meaning that you and your therapist will work on what’s most helpful to you. What are the different types of therapy I might find? CBT (cognitive behavioral therapy): A type of therapy that teaches you how to be alert to the thoughts you have as you do certain behaviors. CBT targets thoughts and behaviors that are unhealthy or unhelpful. The focus of CBT is to decrease negative thoughts or unhealthy behaviors. DBT (dialectical behavioral therapy): A type of therapy that encourages you to embrace the thoughts and feelings you have but to think in ways that prevent harmful behaviors. It is primarily a group-based therapy with individual therapy back-up. You keep logs of your thoughts and feelings, and you will learn and discuss coping strategies with your therapist. Family therapy: A type of therapy that involves you and your family members and or friends meeting with a therapist. Many treatment programs will include family therapy because it can be a very helpful place to discuss family issues and tensions while there is a therapist or counselor there to find a solution. It can also be a good place to talk to your family members and friends about your eating disorder and how they can best support you throughout the process of recovery. Note: this is different from family-based treatment (FBT) which is described on this page. Group therapy: Is when you and other peers meet with a counselor as a group and can share experiences, stories, goals, etc. It can be very helpful to talk to other people who are going through the same thing as you and get advice on what has helped them. It’s ok to feel uncomfortable at first. It takes everyone different amounts of time before people begin to feel comfortable opening up to their therapist. If this is your first time seeing a therapist, it is totally normal for you to feel cautious. Be honest. Therapy gives you a chance to share how you genuinely feel without being judged or offending anyone. Everything you say to your therapist is confidential, unless you say something that makes them concerned for your, or someone else’s safety. The more honest you are with your therapist, the more helpful therapy will be. If you don’t think your therapist is a good match for you, find another therapist. It’s very important for you to feel like you can trust your therapist. If you don’t connect with them, don’t be afraid to find another one. The more comfortable you feel, the easier it will be for you to open up and be honest.